The following are some laws that either still are, or once were, in effect in various places in the United States. In Iowa, it was a law that one armed piano players must perform for free. If you keep your donkey in a bathtub in Georgia, you might be arrested. In Hood River, Oregon, you need a license to juggle. In Connecticut, a pickle must bounce to be considered a pickle. Now I imagine that the stories behind these laws are just as humorous as the laws themselves. Think about it. What circumstances must have come about to cause Vermont to make it illegal to whistle underwater? Did somebody drown because there was an underwater whistling contest? (That sounds like a good game to try at Bible camp this year.) And unless you’re watching Veggie Tales, who has ever heard of a bouncing pickle? And after you try to bounce it, do you really want to eat it? Such laws are silly, and I am sure the story behind them are just as silly. But whatever the law is, or whatever the original reasons for these laws, we can be certain that none of them are still laws today, or if they are still laws, they are no longer enforced. In Luke we come upon a similar type of situation. There is a law which was a good and genuine law. It was a law commanded by God. In fact, this law was one of God’s Ten Commandments in Exodus 20. It was not a crazy law like the ones we just looked at. But over time, it became crazy. Keeping the law became ridiculous. It didn’t become this way because of anything God did or said, but because man got involved and tried to improve on God’s law. God made a very good and practical law He wanted his people to obey, but they turned it upside down, and twisted it into something impractical and impossible to obey. Then Jesus comes on the scene, and brings people back to the original intent of the law. He doesn’t come to do away with the law so much as show what God’s original intent was for the law. This is what we are going to see today and next week in Luke 6:1-11. In these 11 verses, Jesus is telling the Pharisees that they had made the Sabbath too much work. Today we will be looking at Luke 6:1-5 where Jesus teaches them (and us) not to be legalistic with the law. In Luke 6:1-5, Jesus and the disciples go against the grain of the Sabbath day regulations. As we study through the Gospel of Luke, we are in a section showing the ministry years of Christ. And Jesus set out to show that he had power and authority over all sorts of things that hold people back and trip people up. Jesus has revealed that he has authority over demons, sickness, nature, sin, and cultural stigmas. Today we see that he even has authority over one of the greatest traditions – a tradition that was rooted in the Old Testament law – the tradition, or the law of the Sabbath. For you to correctly understand what is going on in this passage, I need to give you a lot of historical and cultural background on the Sabbath. So before we look at Luke 6:1-5, let me tell you a bit about the Sabbath. 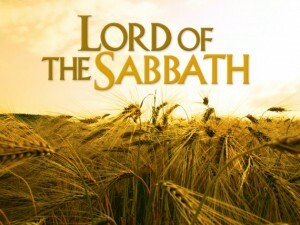 The Sabbath day was initially the seventh day of the week – or Saturday. In the seven days of creation, it is the day on which God rested from His work, and so in Exodus 20, we learn that since God rested from his work on the Sabbath, He wanted His people to take a day of rest on the Sabbath as well. The fourth commandment is that no work was to be done on the Sabbath. This is a great principle, and truly a great practice to develop. It is a good habit to try to take one day of rest a week. But the Jews were so intent at keeping this law, they wanted to know exactly what it meant to not work on the Sabbath. The Bible says, “Don’t work on the Sabbath” but the Jews asked each other, “What does it mean to not work on the Sabbath?” The problem with answering this question was that the Bible doesn’t really give any specific answers. There are general, vague guidelines (cf. Exod 16:29; 34:21; 35:3; Jer 17:22; Amos 8:5; Neh 13:15-22), but the Old Testament contains very little specific instructions on what it means not to work on the Sabbath. There was a lot of room for various opinions and interpretations. In one instance, a group of Jews held to such a strict observance of the Sabbath, that when they were attacked by some enemies on the Sabbath day, none of the Jews defended themselves, or even ran away from the attacking army, because to do so would have been work, and would have violated the Sabbath in their mind (1 Macc 2:29-38; Jub 50:12). And so they were slaughtered. Eventually, some Jews decided to sit down and put together a set of guidelines for what could and could not be done on the Sabbath. They came up with a list of 39 main tasks which could not be performed on the Sabbath. This list included sowing seed, plowing, reaping, binding, threshing, winnowing, grinding, sifting, kneading, baking, shearing wool, bleaching or dying wool, spinning, weaving, tying or untying a knot, sewing stitches or tearing apart two stitches, hunting, writing or erasing two letters, building, demolishing, kindling or extinguishing a fire, hammering, carrying objects from one place to another, and so on. Now as with most laws, there were loopholes and exceptions to these Sabbath day restrictions. For example, a person was not allowed to prepare food or go on a journey on the Sabbath. If they had to walk somewhere, they could only walk a maximum of 3000 feet or about 2/3 of a mile. But the guidelines stated that a journey could be divided up by meals. So on Friday, some Jewish people went and deposited a meal 2/3 of a mile away, on the Sabbath, they could walk the 2/3 of a mile, then eat the meal, then go another 2/3 of a mile. That way, they could walk twice as far as allowed and not technically be breaking the Sabbath! Another crazy result of trying to define work on the Sabbath was that it became illegal to spit on the Sabbath. Spitting isn’t work, but plowing is work, and plowing was defined as moving dirt to make a trench or furrow. Spitting in the dirt, they said, might make a small trench or furrow, and so therefore, spitting was illegal on the Sabbath. This is starting to sound a bit like some of those crazy laws which I began with this morning, right? So you see, there were all these rules about the Sabbath which were man made rules. Rules not contained in Scripture. The amazing thing is that the Jews were aware of this. They had a saying which went, “the rules about the Sabbath…are as mountains hanging by a hair, for Scripture is scanty and the rules many.” And the worst part about all of these, is that punishment for breaking these Sabbath day laws was not a fine, not imprisonment, not even a sacrifice in the temple. Breaking the Sabbath was punishable by death. If you intentionally violated the Sabbath, you were supposed to be given the death penalty. Cooking in most forms (boiling, roasting, baking, frying, etc.) is forbidden on the Sabbath, especially when the temperature is raised above 115 degrees. If the hot water tap is accidentally left on, it cannot be turned off on the Sabbath. Escaping gas may be turned off, but not in the normal way. One must turn off the tap of a gas burner with the back of the hand or the elbow. Since Exodus 34:3 teaches that one cannot light a fire on the Sabbath, it is also wrong to turn on electric lights. If you need to turn on the lights, you can get an automatic timer which will do the job for you. So too, an air conditioner cannot be turned on by a Jew on the Sabbath, although a Gentile can turn it on as long as a Jew does not explicitly ask him to turn it on. If someone is walking on the Sabbath, and discovers that they are carrying something in their pocket that they forgot was in there, they have to stop carrying it immediately. But at the same time, since Jews are not allowed to lift anything on the Sabbath, a person is not allowed to simply take the item out of their pocket. In order to get it out, he has to reverse his pocket so the item falls out. And then he must leave it there. If the item is valuable, and he does not wish to leave it on the ground, he can ask a Gentile to watch it for him. Or, if you must take the item with you, you can carry it, but not in the usual way. You can put it in your shoe, or tie it to your leg – as long as you do not tie a knot – or somehow suspend it between your clothing and your body. Anyway, I think that gives you a small sample of how much work it has become to keep the Day of Rest. What a burden! Webster’s Dictionary defines legalism as strict, literal or excessive conformity to the law or to a moral code. I think “excessive” is exactly the right word, and exactly what we have just seen. If the Sabbath was too much work in Jesus’ day, it definitely has become too much work in modern days. But that is because the Jews did not accept Christ’s changes. 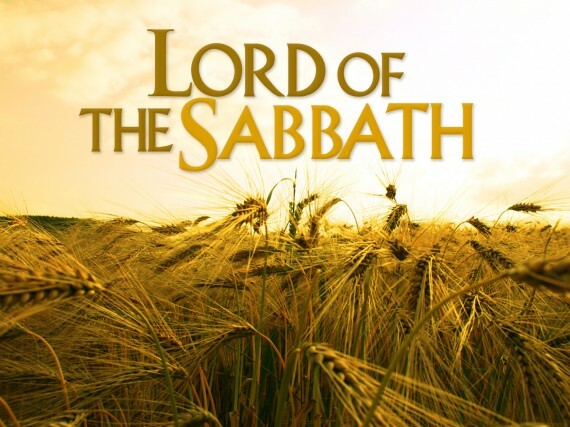 In Luke 6:1-5, Christ tries to show them their errors about the Sabbath, but they did not listen, and so now they have whole volumes on how to keep the Sabbath. So let’s look at what Jesus taught to try to change all of this. He said in 5:33-39 that he was coming to bring new wine, and new wineskins, and now in Luke 6, we see that part of this new wine is a new understanding of the Sabbath. Christ shows that the Sabbath was never intended to be a legalistic burden. Look at Luke 6:1. As they were walking along the road one Sabbath, probably on the way to the synagogue for teaching, Matthew 12 says that they were hungry. Maybe they didn’t have time to eat breakfast that morning, or maybe they just didn’t have any food. But either way, they were hungry, and so as they walked along, they picked some of the grain from a nearby field and ate the heads of grain. They did this by rubbing the heads of grain between their hands in order to separate the grain from the chaff. Now we might look at that and say, “Hey, they were stealing!” But this is not the case. 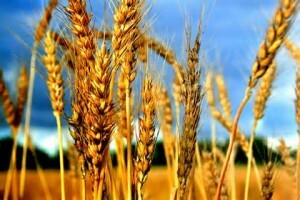 The law clearly allowed people who were hungry to pick the stalks of grain and eat of it (Deut 23:24-25). And they could eat as much as they wanted as long as they did not do any harvesting. This was a form of practical welfare – we see it practiced in the book of Ruth also. So this is not what the Pharisees are complaining about in Luke 6:2. They are upset that the disciples are doing this on the Sabbath. 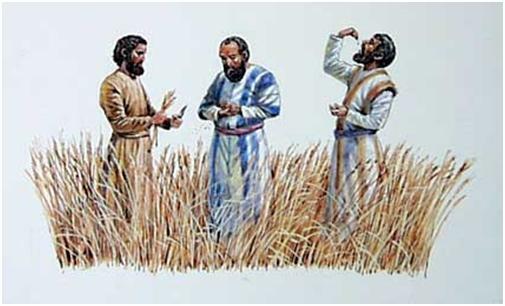 Remember, according to the way they defined work on the Sabbath, it was illegal to harvest, thresh, winnow grain or prepare food on the Sabbath. Technically, the disciples were doing all four of these things. So the Pharisees, these legalistic policemen, armed with their list of laws which did not come from Scripture, but which they had created, set out to correct Jesus and His disciples. Jesus, knowing that they had twisted and incorrectly applied Scripture, uses Scripture right back. And he uses it correctly to show them what the Bible really teaches. The event Jesus refers to here happened in 1 Samuel 21. Keep your finger here in Luke 6, and turn back to 1 Samuel 21, because I want to show you some important things there. The Pharisees had several heroes of the Bible. Abraham was right at the top. So was King David. David was, after all, a man after God’s own heart. So Jesus takes one of the heroes of the faith, and uses David to correct the Pharisees. Jesus reminds them about the time in 1 Samuel 21 when David was running for his life from King Saul. In chapter 20, King Saul’s son, Jonathan, signaled to David to flee for his life because Saul wanted to kill David. I think we can see a parallel here between David and his men being like Jesus and His disciples, and Saul being like the Pharisees. But here in chapter 21, David and his companions have been on the run for three days, and have run out of food. So David goes to the priest to ask him for bread. Look at 1 Samuel 21, starting in verse 1. So David only asks for five loaves, and asks for whatever kind of bread could be found. The priest tells David that the only bread in the place is the holy bread, the showbread. The priest tells David that he can have the bread, if the men have not slept with a woman recently. I am not going to explain why the men keeping themselves from women was important here, because it doesn’t really matter for what Jesus is trying to teach using this passage. What is important is that the priest recognized that it was okay to give the holy bread to David! Why is this? Why was it okay to give the bread to David when the law said that the bread was for the priests? Because the priest knew the intent of the law. The priest knew the purpose of the law. You see, the priests were not paid. They did not get a salary, nor were they allowed to own land or grow crops. The priests had their needs provided for in other ways. Portions of meat, for example, were given to them from the burnt offerings to eat. Nobody else could eat this meat, but the priests could, because that was how they got their food. The bread was similar. Twelve loaves of freshly baked bread were place on a table in the temple to symbolize the twelve tribes of Israel (Exod 25:23-30). When the old loaves were replaced with new loaves, and the old loaves could then be eaten by the priests (Lev 24:5-9). So the purpose of this law was to provide food for the priests. That was the intention of the law. But David came along, and he was hungry, and his men were hungry, and he went and asked the priest if they could have some of the bread. The purpose of this law was to provide food for those who didn’t have any. Most often, this was just the priest. But here was another person, David, who didn’t have any food, and he was only asking for five loaves, which left seven for the priest – which was plenty. So the priest says he can give the bread to David. Guess which day the law told them to change the bread? The Sabbath-Law was not merely of rest, but of rest for worship. The Service of the Lord was the object in view. The priests worked on the Sabbath, because this service was the object of the Sabbath. The Pharisees were allowed to do the work of baking bread on the Sabbath so that the loaves could be put out fresh on the table in the morning of the Sabbath. They could then eat the old loaves, or, as in the case of David and Ahimelech here, give the loaves to those who were hungry or who were also in the service of the Lord as David was. Back to Luke 6, when the Pharisees question Jesus about his disciples eating grain, Jesus reminds them of 1 Samuel 21. And in reminding them about this, He basically says, “Look, if on the Sabbath, the priests can exchange the loaves in the temple, eat the old bread to satisfy their hunger, and give the bread to David who is also hungry, and none of this broke any of the Old Testament law, then my disciples can certainly eat a little grain on the Sabbath in order to satisfy their own hunger.” This is the example from the Old Testament that Jesus gives. In effect, Jesus is telling the Pharisees that if they condemn His disciples, then they also condemn David. Jesus is saying that God’s law never intended to exclude people from basic needs, like eating, and David is an example of what the law really meant. In Luke 6:5, Jesus pulls out the trump card though to silence all their arguments. Look at Luke 6:5. Now, we’ve hit the Pharisees pretty hard today. But you know what? The error of the Pharisees has its counterpart in our own day and time, and even in many of our churches. Just like the Pharisees, we sometimes get legalistic about the law and obedience to the Bible. In the book I mentioned last week, The Grace Awakening, by Chuck Swindoll tells the true story of a Christian college in the United States where they had very strict Sabbath laws. Like the Pharisaical laws, nobody on that campus was supposed to do any sort of work at all on the Sabbath. Well, one guy on the campus spied his wife on Sunday hanging a few articles of clothes up to dry. So guess what he did? He turned in his wife to the authorities for punishment! I’ll bet they had a good marriage after that. Chuck Swindoll tells another story about some overseas missionaries who developed a hankering for some peanut butter. They couldn’t get it where they were deployed, and so they wrote to some friends in the states to request a jar a peanut butter. Their friends were glad to help in such a small way, and so sent a box containing several jars of peanut butter. Wouldn’t you know it, there were some other missionaries in the same location who thought it was “unspiritual” to crave peanut butter. They said that when a person became a missionary, they should have left the luxuries of the United States behind them, and they should take up their cross, and not desire peanut butter. They probably said that by wanting peanut butter, they were acting like Lot’s wife, looking over her shoulder at Sodom and Gomorrah and all she had left behind. Eventually, it got so bad, this couple who wanted peanut butter came back to the states. They gave up being missionaries. Some teach that you must always pray over every meal if it costs more than 50 cents or if you have to eat it with a fork. So a candy bar that costs 50 cents is not a meal, but if it costs 60 cents, it is a meal so you must pray over it. In some Christian circles, it is also wrong for a husband and wife to have separate checking accounts, for the woman to wear make-up, and for men to wear facial hair. It is also wrong for any Christian to wear wire-rim glasses, get their ears – or any part of their body – pierced, get a tattoo, and to bleach or dye their hair. I cannot stress this enough. 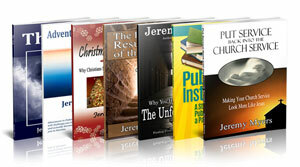 If you are going to keep yourself free form legalism, you must know the Scriptures. Now, listen to me, by “knowing” the Scriptures, I don’t mean being able to quote Scripture. Satan can quote Scripture. All legalists can quote Scripture too. I mean you need to KNOW Scripture. Know what the various passages mean. Know how to apply these passages. Make sure that the passages you use have been understood correctly, have not been ripped out of context. Most legalists have Bible verses to back up what they believe, but most often their favorite passages are ripped out of context or incorrectly applied. Jesus says in John 8:32, “You shall know the truth, and the truth shall set you free.” And we saw this morning that the way He confronted the legalistic Pharisees was to show them how they had misunderstood Scripture. So, in order avoid legalism, make sure that you have a Biblical basis for what you believe, based on rightly dividing and correctly applying the Word of Truth. Know the Scripture. Paul wrote in Galatians 5:1, “It was for freedom that Christ set us free; therefore keep standing firm and do not be subject again to a yoke of slavery.” So keep standing your ground for your freedom. When you stand up to legalism, it may start a war – a revolutionary war. But the revolutionary war was a fight for our freedom. The early colonists knew that freedom was worth fighting for. It was worth it for themselves, and for their children, and for their children’s children. When you stand up to legalism, you are not just standing up for your freedom in Christ, but for the freedom of other Christians also. Jesus defended His disciples to the legalistic Pharisees, and we too should stand up for the freedom for which Christ has set us free. What is your view of the law? Whatever you do with it, you must not be legalistic with it. Luke 6:6-11 will tell us what we should do with it. On second thoughts, perhaps free form legalism is meant. Link to Neuwirth’s ISBN-13: 978-1583304945 rather than ISBN-13: 978-0873063753. The former is the three volume set, whilst the latter is volume 1. On that note, I’ll point out that a good Orthodox Jewish Rabbi can explain the circumstances under which to adhere to each of the Ten Commandments, is to violate it, and the circumstances under which to violate the commandment, is to adhere to it.